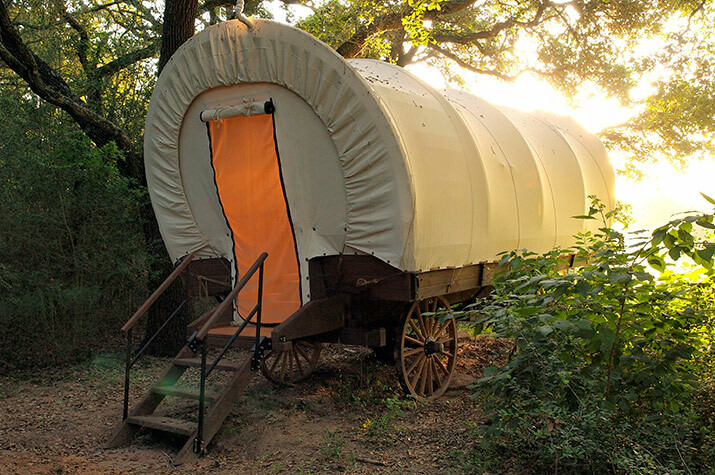 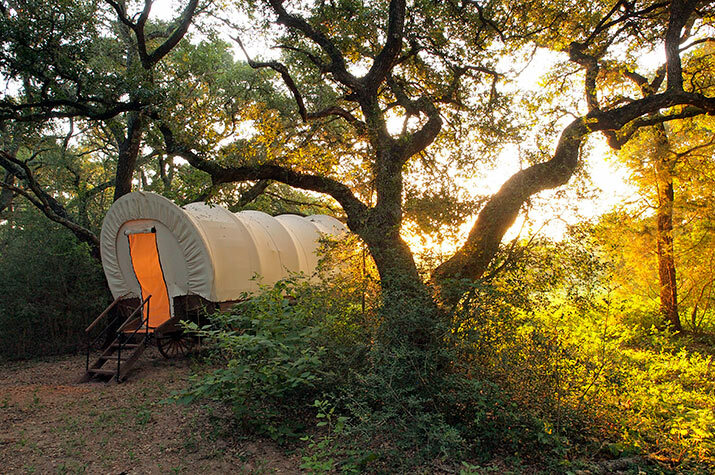 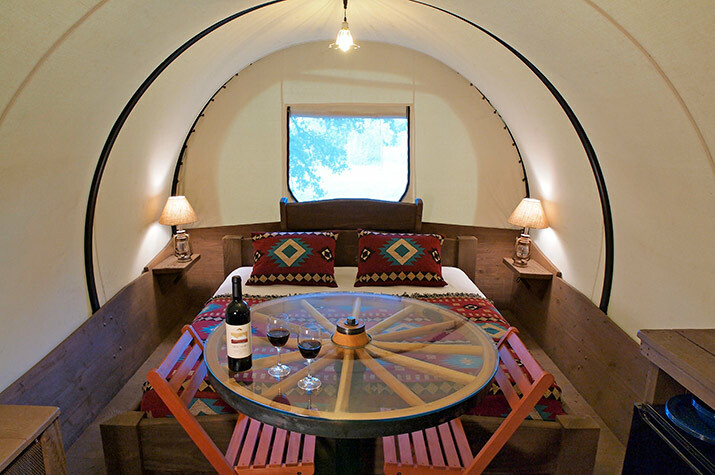 The newest addition to the ranch, enjoy a truly unique Texas getaway in our deluxe covered wagon! 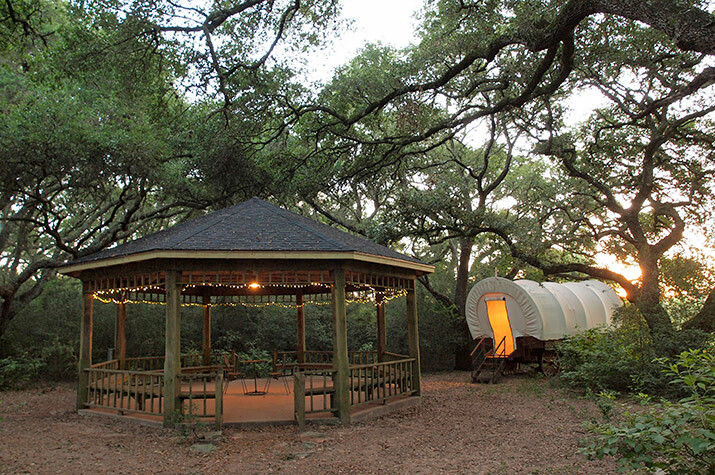 Get closer to nature and connect with your pioneer spirit, while still enjoying modern amenities. 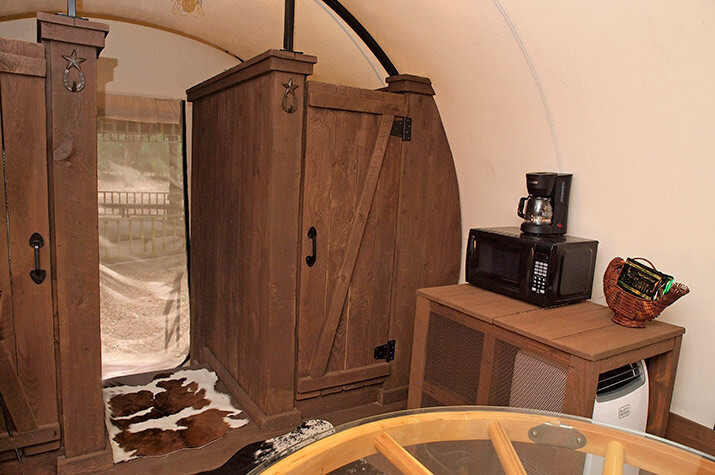 The wagon is located by Lehmann Lake and includes AC/heat, King-size bed, small dining table and two chairs, plus a private in-wagon bathroom with a shower. 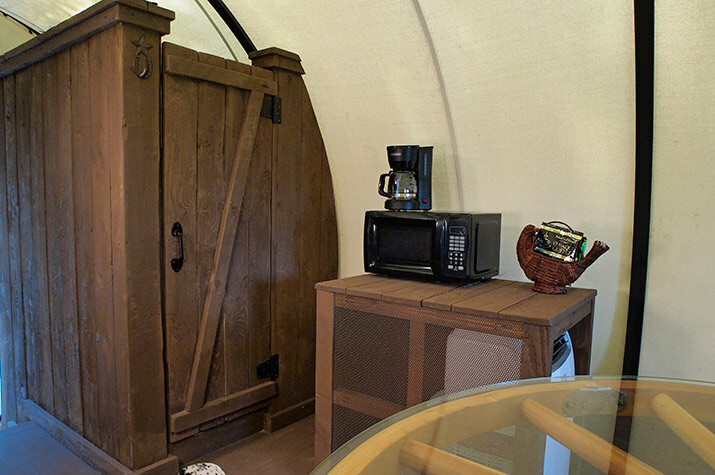 Additionally, enjoy the convenience of a mini-fridge, coffeemaker, toaster, hot plate, electric skillet and sink. 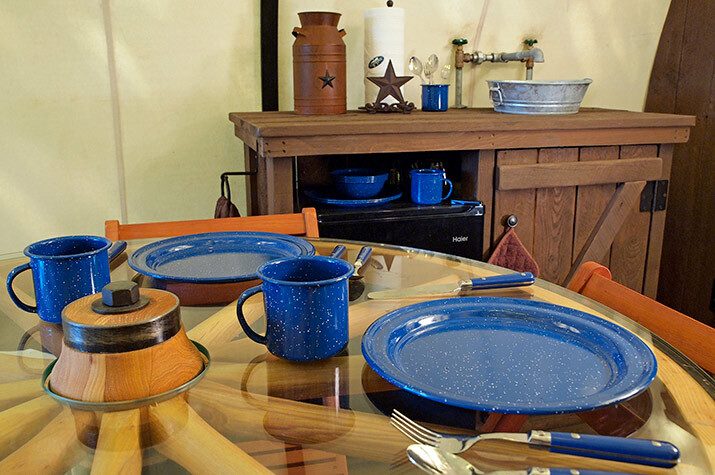 Outdoor gas grill for your grilling enjoyment. 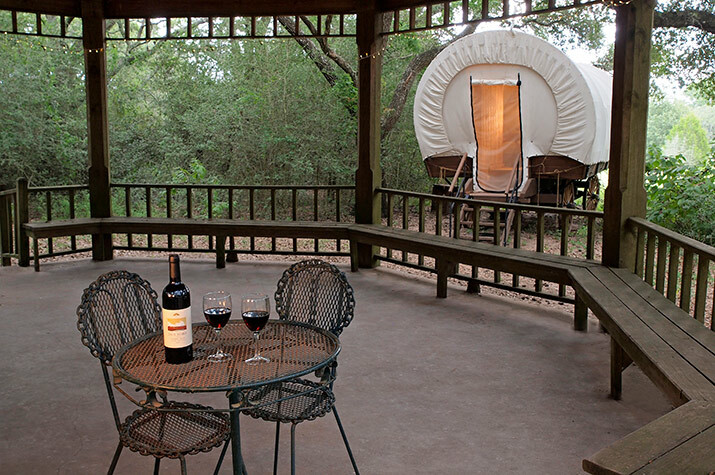 Spend your evening counting the stars in our big Texas skies and telling tall tales as you sit around the outdoor bistro table and private fire pit.